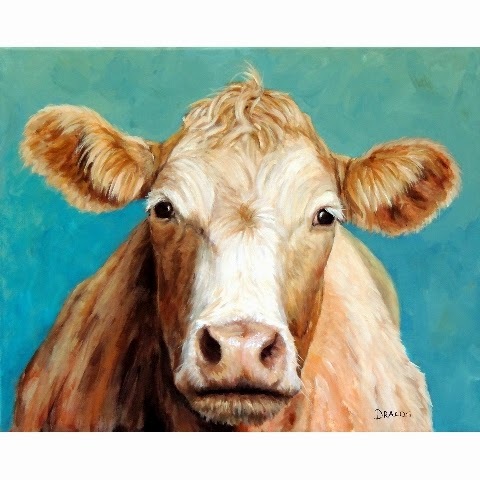 Guernsey Cow Painting on Teal/Turquoise Background. This painting is prettier in person, and I'll try to get better photos of her in a few days from now. It's a 16x20x3/4" acrylic painting on stretched canvas, no staples on the sides, and is wired and ready to frame or hang as is. The earlier painting I did was similar to this one, but it was on a smaller sized canvas. I've had many requests to do a painting again from the same photos I used for the first one, so here it is -- at last.